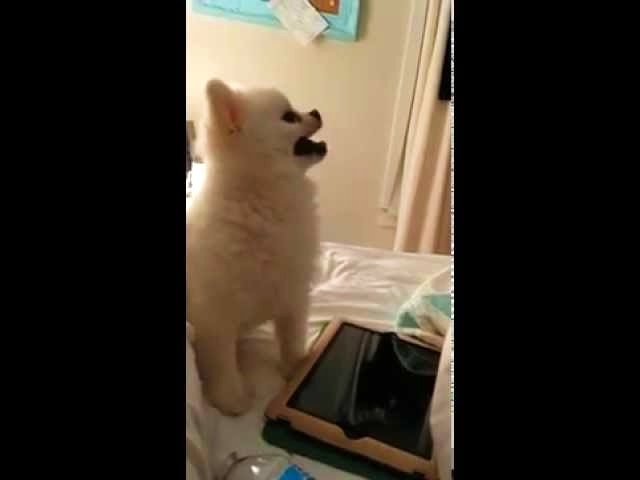 Roux the Pomeranian and his epic sneeze. His sneeze almost sounds like a turkey gobbling. Very cute!